Concrete is a tremendously diverse building material. When it is mixed, poured and cured correctly, concrete is strong, durable and, yes, even beautiful. But when it is installed incorrectly, it is weak, has flakes and cracks, and will soon need to be replaced. Start with a small project first. If you dive head-first into a large project without knowing what you’re doing, you might end up wasting all the money you spent on concrete and all the sweat-inducing labor you put in. Once the dry concrete mix is combined with water, you must work quickly so that it does not dry out. Stopping to re-read an instruction book or to re-watch a video just allows precious time to slip by. As concrete dries, it becomes difficult to work with, and you cannot simply “re-hydrate” concrete to make it malleable again. Once it’s dry, it’s dry. That’s why it’s wise to start small. Make errors with a project that doesn’t have much at stake. Try building a raised 3-by-5 concrete pad out in the yard for a bench to rest on before you commit to a 10-by-30 patio, for example. It will give you some experience in preparing the ground, creating the forms, etc. It will also give you a chance to practice how to pour concrete efficiently. All of these things seem easier on paper than they do in practice, so practice! Don’t “eyeball” the water and concrete ratio. When you buy bagged concrete, it will specify on the bag how much water to use per unit of concrete. It’s very important not to “eyeball” the amount of water and the amount of concrete that you mix together. You are not making a casserole! Using the wrong amount of water, whether too much or to little, makes the concrete weaker overall. It also affects the curing time and makes the concrete difficult to work with. Mixing these two components causes a chemical reaction, and it’s best to follow the guidelines precisely for best results. For larger projects, you may consider hiring a concrete specialist to deliver pre-mixed concrete. This saves you some hassle, time and physical labor, since the concrete is poured directly from the truck. Be patient as the concrete cures. You have worked really hard up until this point! The concrete looks smooth and you feel triumphant to have gotten this far. It is incredibly tempting to just go back into the air conditioning, have a cool drink and congratulate yourself on a job well done. But the work isn’t over yet: the concrete still needs to be cured. Don’t worry, this is a relatively easy step! It just requires a few minutes of consideration each day for anywhere from 3-7 days. Curing is the process of ensuring the concrete dries slowly in order to avoid cracking and pitting, which can happen as a result of extreme changes in moisture within the concrete. You can see that the moisture begins to rise to the top of the concrete shortly after it is poured. 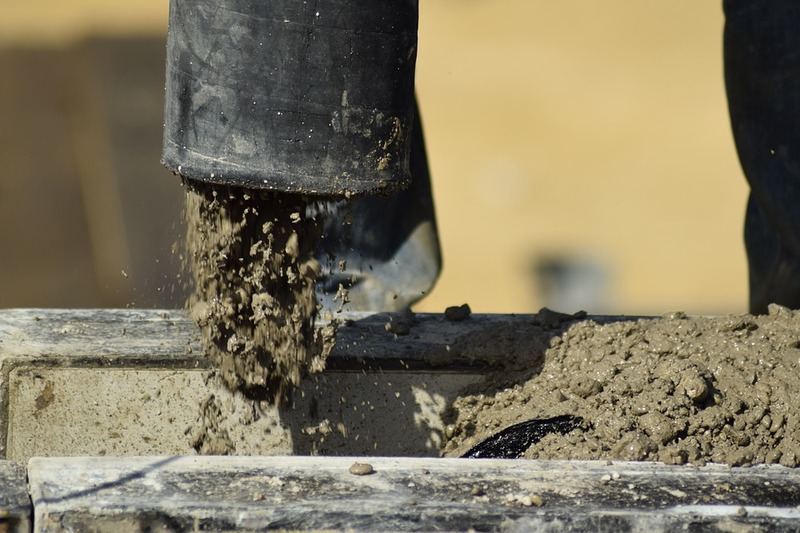 Although it seems counterintuitive, you’ll actually need to keep the surface of the concrete wet for several days (depending on the type of concrete used) before you can officially declare the concrete dry and ready to bear significant weight. In fact, it is concrete’s load-bearing capacity that is ultimately at stake if you skip the curing process. As the concrete cures and hardens, its ability to withstand large weights (like the weight of a car on a driveway, for example) without cracking increases. Successfully installing concrete is a big accomplishment, but there’s bound to be a few mistakes made in the process. You should get better each time you work with this incredible material!